Yesterday Bob and I went to Erie, PA. Our primary destination was at Presque Isle State Park, where I took several pictures. My new camera, the Olympus OM-D E-M5, is serving me well. Presque Isle State Park is a sandy peninsula located approximately 4 miles west of the city of Erie. We followed Peninsula Drive around the entire circumference of the peninsula (which is about 14 miles), making a few stops along the way. Our first stop was at Perry Monument. The Perry Monument was built in honor of Commodore Oliver Hazard Perry who fought in the War of 1812 against Great Britain. During the war, Perry commanded the US Navy in Lake Erie. His own ship, the Lawrence, was destroyed, but on September 10, 1813, he took his new ship, the Niagara, and successfully defeated the British, preventing them from advancing down the Ohio Valley. While at Perry Monument I observed several ice fishermen. From Perry Monument we continued our drive around Presque Isle State Park. We took a slight detour from the main road, taking Coast Guard Road to the North Pier Lighthouse. Before reaching the lighthouse we stopped at Horseshoe Pond to observe the “floating houses”. From the North Pier Lighthouse we drove to the Presque Isle Lighthouse. There was considerable erosion on the Presque Isle Lighthouse beach. From Presque Isle State Park we went to Olive Garden, where we enjoyed a late lunch (an early Valentine’s Day treat for us). 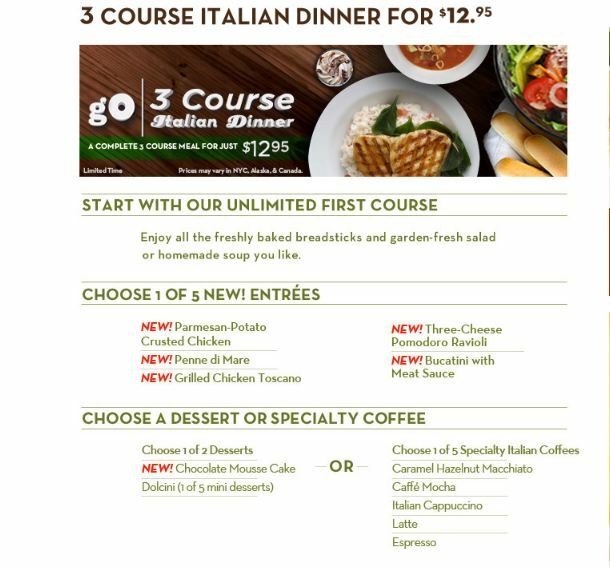 We ordered from the restaurants “3 Course Italian Dinner” menu. I chose the Parmesean-Potato Crusted Chicken entree; Bob opted for the Grilled Chicken Toscano. As a first course we both chose the freshly baked breadsticks and garden-fresh salad. For dessert I chose the Chocolate Mousse Cake; Bob chose Espresso. Both meals were very good and well worth the $12.95 price! On our way back home from Erie, we made two photo stops — the subject of my next blog post. Re your comment about photographs on overcast days…I will agree that some of those days are great for photos..but when there still seems to be that haze…just have a hard time getting good photos. Do you have that in PA? I would assume you do…I so remember when I was a kid, where those days were seldom…then it got till there were seldom days without it. I guess it is smog….